IOT empowers integration of device and conventional data to modernize operations and increase sytem performance. The deployment of IOT applications that are custom-built for business operations reduces downtime, increases revenue and improves end user experience across verticals. IOT applications use very little data, and traffic is generally not as time sensitive as voice, resulting in a margin-rich service opportunity that in effect can make use of excess network capacity and provide a recurring revenue stream for 5-10 years given the long life of many IOT assets in the field. This Internet of Things Platform is the solution to your maintenance and operational woes of Telecom,Tower and other industries. 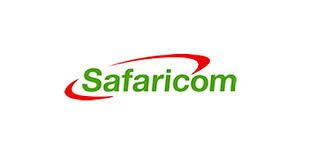 Remain associated with all devices to deliver significant business benefits. Connect assets, people, processes and systems to generate value out of business operations. 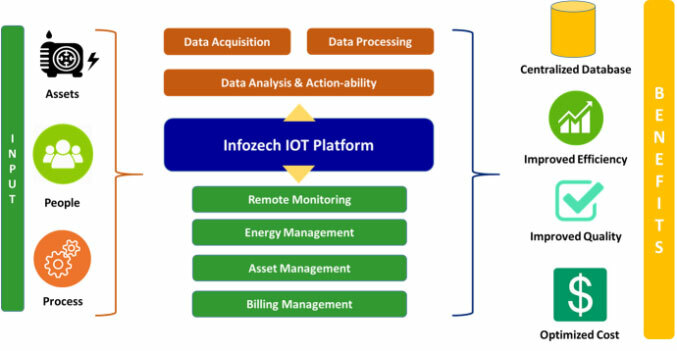 Collect real-time data coming form various devices on a centralized platform.Infozech’s IOT powered solutions enable customers to learn from and infuse intelligence into the physical world to transform business and enhance the human experience. Organize the collected data into a meaningful format.Infozech’s IOT platform validates every raw data packet and each value in the data packet against its defined type and permissible value and filters outany garbage value from the system. It is possible to configure multiple types of business rules to identify data and depict business scenarios. Get unified view of assets present at site.Infozech’s Solution transform the data into actionable insights which enables organization to take much more informed and optimal business decisions.